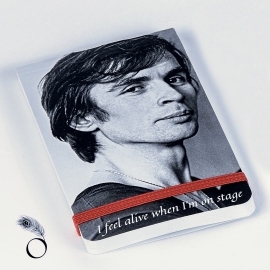 You will love our selection of Dance stationery items and this notebook featuring the list of Rudolf Nureyev's choreographies. 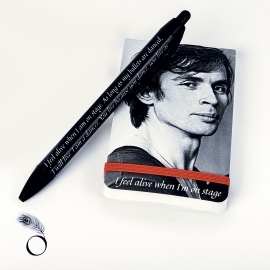 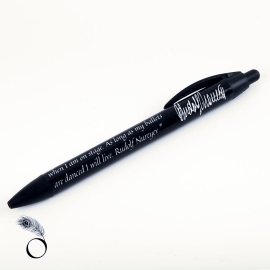 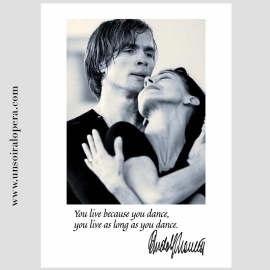 Our dance gift ideas are a tribute to Rudolf Nureyev and to his artistic life. 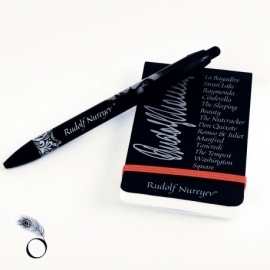 Spoil your friends with a gift they will really enjoy. 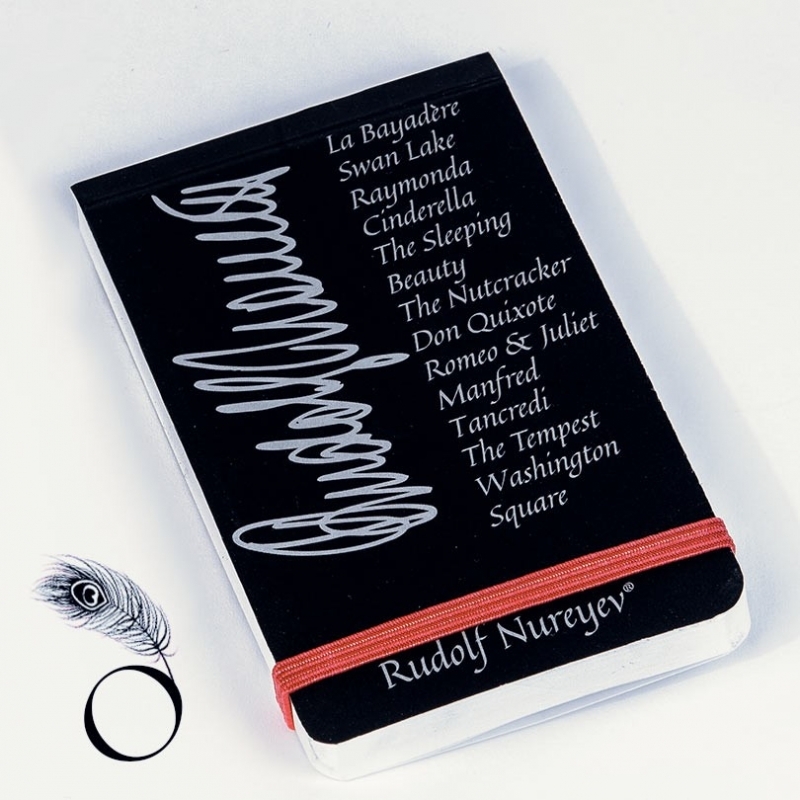 Our selection of Dance stationery and gift ideas for dancers is the perfect gift for people who love ballet and classical dance. 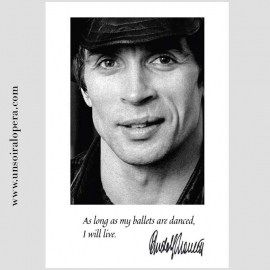 They will really enjoy our Rudolf Nureyev Collection. 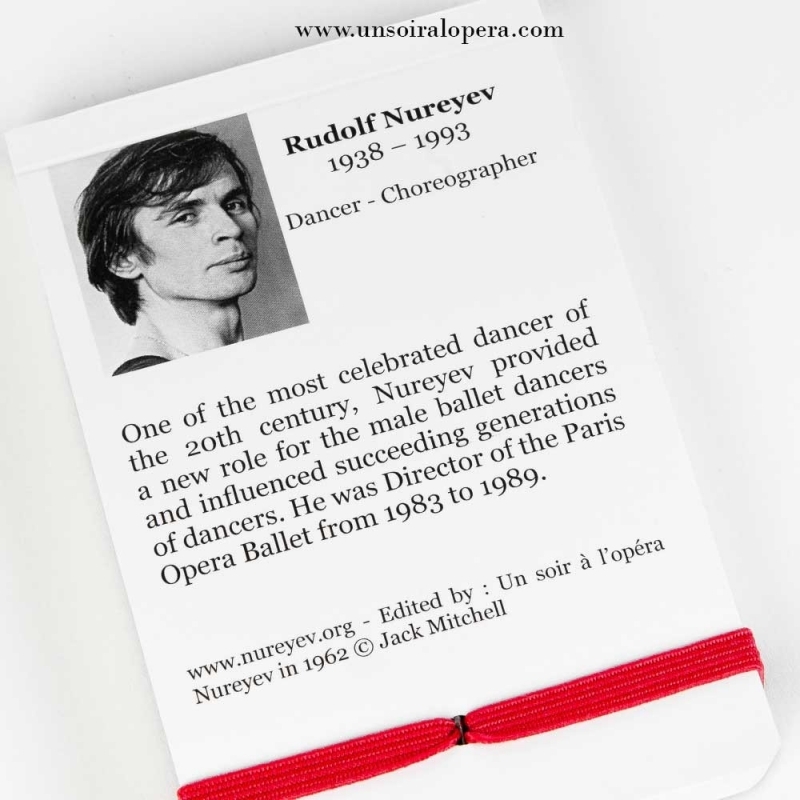 Rudolf Nureyev produced many stunning ballets : La Bayadère, Swan Lake, The Sleeping Beauty, Romeo & Juliet, The Nutcracker, Raymonda are some of the most famous ballets he staged. 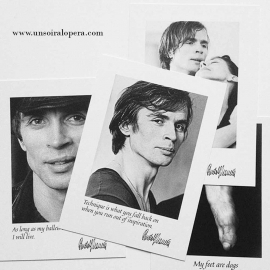 To read more about Rudolf Nureyev you can visit the Foundation's website on this link.